This is a Non-Permanent position. The City is seeking dependable and dedicated field laborers to assist in the performance of general maintenance in support of the Streets, Facilities and Beach maintenance, Parks, Trees and Landscape operations, as well as Water Utilities operations. The position works under the direct supervision of a full-time, permanent City employee working as part of a crew. Based on years of experience in related field, department has the discretion to determine hiring level at I, II, III, IV or V (Part-Time Level 6, 7, 8, 9 or 10). Temporary/part-time employment is restricted to 1,000 hours within a 12-month period (July 1 to June 30) and does not qualify to receive City benefits, except those required by law. The City does not belong to the Social Security system. However, enrollment in an alternative retirement program is mandatory and requires an employee contribution of 7½% of base earnings to the Public Agency Retirement System (PARS). There are no rights to employment and employment may end with or without cause or advance notice. Further restrictions apply to CalPERS Retired Annuitants. Examples of Essential Duties Depending on the assignment area, typical duties may include: operating stationary and portable small tools; operating hand and power driven tools; setting up and/or cleaning up for various operations or projects; assisting full-time staff in removing obstacles, debris and litter; loading and unloading trucks; lifting and carrying items weighing up 100 lbs; following directions carefully; working diligently within safety parameters; performs other related duties as assigned. (The City, at its discretion, may add, modify, change or rescind work assignments as needed.) Qualifications Ability to: Read and listen to and follow instructions; learn construction zone traffic control and site safety procedures applicable to related maintenance repair work; use hand tools; carry out work assignments as instructed; communicate effectively orally; establish and maintain cooperative work relationships with those contacted in the course of work; work flexible hours which may include evenings, weekends and holidays; and perform physical labor in an unrestricted fashion. Possession of: a valid CA Driver License and provide evidence of and maintain an acceptable driving record during the course of employment. Employees regularly assigned/required to drive a city or personal vehicle in the course and scope of work shall be required to participate in the DMV Employer Pull Notice program due to the performance of field duties that may require operation of a City vehicle. 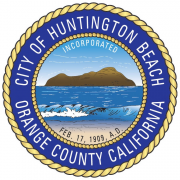 APPLICATION AND SELECTION PROCEDURE: An official City of Huntington Beach on-line job application must be filled out in its entirety. Applications will be closely reviewed for relevant experience, education and training. Applicants best meeting the City's needs will be invited to a department interview. Upon a conditional offer of employment a drug screen, TB Screening and California Department of Justice (DOJ) Live Scan fingerprinting must be completed with acceptable results. Other background reports may also be conducted depending on the position. Upon hire, employee is subject to further reporting from DOJ via subsequent arrest notification. Positions requiring a Class A or B driver license are subject to Department of Transportation (DOT) regulations. Please Note: Our primary means of communication with applicants is sent via email; therefore, please include a valid email address on your application Physical Tasks & Environmental Conditions Sit to operate motorized vehicle; stand to perform tasks or operate tools and equipment; walk to carry or operate tools and equipment; reach below and above shoulder level, turn, twist, lean, bend, stoop, crouch and squat to perform physical tasks, climb short distances; climb ladders; carry, push, pull and drag weight up to 100 pounds a distance of approximately 35 feet from a staging point to a work area (fertilizer bags 80 pounds, concrete bags 90 pounds, and asphalt bags 100 pounds), lift to waist height and dump heavy trash bags from stationary cans; light and firm grasping, including finger dexterity to hold and operate hand tools; foot manipulation to drive vehicle using accelerator pedal or brake pedal; and, speak to answer basic questions from the public or ask questions of the supervisor. Work is primarily performed outdoors with exposure to direct sunlight, rain, humidity, dust, and noisy equipment. Odors from fertilizers, trash, and asphalt are part of the environment. Must possess unrestricted physical ability to perform tasks and duties outlined above. SPECIAL CONDITIONS Public Employee Disaster Service Worker: In accordance with Government Code Section 3100, all Huntington Beach city employees are required to perform assigned disaster service worker duties in the event of an emergency or a disaster. THE POSITION DEFINITION To plan, assign, supervise, and review the work of personnel engaged in a variety of park maintenance activities. SUPERVISION RECEIVED AND EXERCISED General supervision is provided by a higher level staff member. Responsibilities include the direct and indirect supervision of lower level employees. ESSENTIAL DUTIES AND RESPONSIBILITIES EXAMPLES OF DUTIES The following duties are typical for this classification. Incumbents may not perform all the listed duties and/or may be required to perform related duties as needed: Plan, assign, and supervise the work of crews performing a variety of park maintenance and construction work. Estimate labor and material costs for work to be performed. Oversee the acquisition and purchase of supplies and materials. Maintain work times, equipment supply, and material records; make reports of work performed. Inspect work in progress; assist workers in resolving difficult work problems. Instruct subordinates in work techniques, use of equipment, and safety precautions and requirements. Inspect assigned park areas to locate and determine the extent of repairs or maintenance required. Inspect work of private contractors engaged in park maintenance work for the City. Assist in budget preparation and administration. Supervise, train, discipline, and evaluate subordinate employees. Perform related duties as required. QUALIFICATIONS Knowledge of : Methods, materials, practices, equipment and tools used in park maintenance work. Occupational hazards and safety precautions necessary in the work, including the use of restricted pesticides for pre-emergent sterilization and growth control. Soil conditioning, plant growth and pruning patterns of shrubs and trees. Minor park maintenance and development construction. Shop operations and small equipment repairs. Principles and practices of supervision, training, discipline, and performance evaluation. Ability to : Plan and organize the work of subordinate personnel engaged in park maintenance work. Keep records and prepare reports. Estimate costs and determine personnel and equipment needs. Identify the varieties of plants, trees, and shrubs used in City parks and the pests and diseases common to them. Work effectively with employees and the general public. Supervise, train, discipline, and evaluate subordinates. EXPERIENCE AND EDUCATION Any combination of education and experience that would provide the required knowledge and abilities is qualifying. A typical way to obtain the knowledge and abilities would be : Experience: Five years of maintenance and/or construction experience in landscaping, horticulture, or park maintenance, including at least three (3) years of lead experience comparable to Park Maintenance Worker II in the City of Sacramento or higher. Substitution : Completion of college-level coursework from an accredited college or university in horticulture, arboriculture, forestry, landscape architecture, turf management, parks management, or a related field may be substituted for experience on a year-for-year basis up to four (4) years. A year of college-level coursework is considered to be 30 semester or equivalent quarter units. PROOF OF EDUCATION Should the combination of experience/education you are using to qualify for this position include education, then proof of said education in the form of college transcripts, certificates, and degrees must be submitted to the City of Sacramento Employment Office in person, as an attachment(s) to the online application, faxed to (916) 596-1556, or emailed to employment@cityofsacramento.org by the final filing deadline . If submitting in person or via fax/email, please include your name and Job #015028-19-YPCE on your documents. Unofficial documents and/or copies are acceptable. An applicant with a college degree obtained outside the United States must have education records evaluated by a credentials evaluation service. This evaluation must be submitted before you will be considered for any positions. SPECIAL QUALIFICATIONS Driver License: Possession of an appropriate California Driver License at the time of appointment. Pesticide Applicator's Certificate: Possession of a valid California Pesticide Applicator's Certificate at the time of appointment is required for some positions. THE SELECTION PROCEDURE Please note, the City of Sacramento's preferred method of communication with applicants is via e-mail. As such, please ensure you verify the e-mail address on your application, and check your e-mail frequently, including your spam and junk folders.All e-mail notifications can also be accessed through the governmentjobs.com applicant inbox. 1. Application: (Pass/Fail) - All applicants must complete and submit online a City of Sacramento employment application by the final filing deadline ; Employment applications must be submitted online; paper applications will not be accepted. Employment applications will be considered incomplete and will be disqualified: If applicants do not list current and/or past job-related experience in the "Work Experience" section. Note: Qualifying experience is based on 40 hours per week (pro-rated if less than 40 hours/week) . If "see resume" is noted in the "Work Experience" section; a resume will not substitute for the information required in the "Work Experience" section. Proof of required education, certification, and/or degree equivalency must be submitted online with your application, delivered in person, or sent to the Employment Office by email/fax or mailed by the final filing deadline . If you're requesting Veteran's credit, a copy of your DD214 must be submitted online with your application, delivered in person, or sent to the Employment Office by email/fax or mailed by the final filing deadline. Information regarding the use of Veteran's credit can be found in the Civil Service Board rules under rule 4.9C 2. Screening Committee : (Pass/Fail)- Human Resources will evaluate employment applications for the minimum qualifications stated on the job announcement. 3. Screening For Most Qualified: (Pass/Fail) - In addition to the City of Sacramento employment application, all applicants must complete and submit online responses to the supplemental questionnaire to the City of Sacramento Employment Office by the final filing deadline . In the event of a large candidate pool, the responses to the supplemental questionnaire will be evaluated and rated. Only those candidates determined to be the most qualified will proceed to the next step in the selection process. Responses to the supplemental questionnaire must be submitted online; a paper questionnaire will not be accepted. Incomplete supplemental questionnaire will not pass the review process; omitted information cannot be considered or assumed. A resume will not substitute for the information required in the supplemental questionnaire. 4. Oral Interview (Panel) Test : (Weighted 100%) - Qualified candidates will be notified by mail and/or email, based on their notification preference, of the oral test date, time, and location one to two weeks prior to the test. Candidates may be required to complete some written problems prior to the structured oral interview test. The oral interview test will be job related and may include, but not limited to, the knowledge and abilities outlined above. PLEASE BE ADVISED THIS IS NOT A HIRING INTERVIEW. 5. Eligibility : Candidates who pass the Oral Interview Test will be placed on the eligiblelist. The hiring department may contact candidates for interview at any time during the life of the one-year list. 6. Conditional Hire: Upon receipt of a conditional offer, the selected candidate must complete and pass LiveScan/fingerprinting. If applicable, candidates may also need to pass a pre-employment medical exam, controlled substance and/or alcohol test, and possess any required licensure or certification prior to receiving a start date from the Department. Failure to meet these prerequisites will be grounds for withdrawal of your conditional offer of employment. QUESTIONS: For questions concerning this job announcement and the application process: Please visit https://www.governmentjobs.com/Home/ApplicationGuide for a comprehensive, step-by-step guide to the application process. For technical support between 6 AM - 5 PM PT, contact Live Applicant Support at (855) 524-5627. Visit the City of Sacramento Human Resources Department website at http://www.cityofsacramento.org/hr/employment/index.cfm ; Send an email to employment@cityofsacramento.org ; Call the Human Resources Department at (916) 808-5726; or Visit the Human Resources Department at Historic City Hall, 915 I Street, Plaza Level, Sacramento, CA 95814.